Embedded in the Governor’s Budget and Legislative Package, is a proposal that would change public records laws in an attempt to limit access to “booking information” and “mug shots” taken at arrest. The proposal amends the public officer’s law and would now include booking information within the definition of an unwarranted invasion of privacy. vii. disclosure of law enforcement booking information about an individual, including booking photographs, unless public release of such information will serve a specific law enforcement purpose and disclosure is not precluded by any state or federal laws. From a legal perspective, local police departments would still have the discretion to release this information. However, the language sets a terrible precedent. “We are concerned the proposal will have a chilling effect on the release of information that is essential to the public interest. This information involves police activity and is a matter of public record. Communities have a right to know about those who have been accused of criminal activity. To avoid “secret arrests,” families and friends of those arrested should have access to this information. We recognize that some unscrupulous people take an individual’s mug shot, post it on-line, and then extort payment in return for taking the picture off line. Other states, such as California, have dealt directly with the issue by making such extortion a criminal offense. These narrowly tailored laws solve the problem without denying the community access to critical information. We have registered our concerns with the Governor’s office. We have asked him to narrow the scope of the legislation and enact a law similar to that found in California. 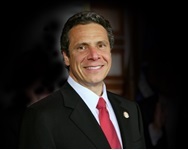 The issue was discussed in a news report by WNYT-TV Ch. 13 in Albany. To see WNYT’s story click HERE.